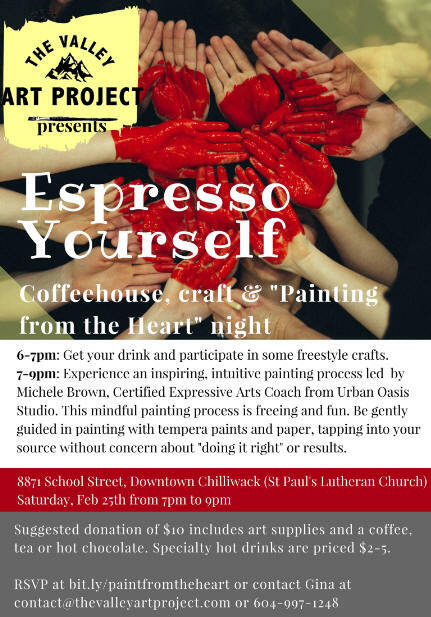 ip on a latte, make a quick craft, then participate in a workshop led by Certified Expressive Arts Coach Michele Brown. Join us for a night designed for self-expression and connection with others and everyone's welcome! There's a $10 suggested donation which includes art supplies, and a coffee, tea or hot chocolate. If cost is a concern for you, don't worry about it—no one will be turned away. Specialty hot drinks available from $2 to $5. 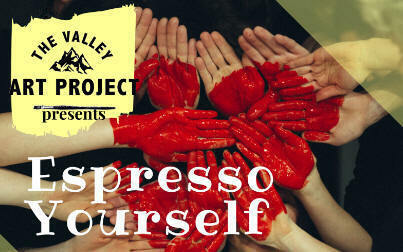 See the Facebook event page at bit.ly/paintfromtheheart for more info!